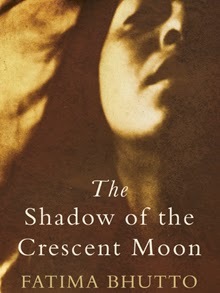 Fatima Bhutto’s novel The Shadow of the Crescent Moon is an attempt to portray life in Pakistan—oscillating between the fundamentalist savagery of the Taliban and the apathy of the state—and how it affects the people who live under its shadow. The novel is set in the imaginary village of Mir Ali in Waziristan, in northern Pakistan, bordering Afghanistan. It attempts to touch on multiple issues that perplex and haunt the tribal locals of a fragmented nation. The novel is set over 3 hours, with ample sprinklings of flashbacks and a disjointed narrative strategy. There are five characters defining the novel—three brothers– Erum Anum, Sikandar and Hayat, Sikandar’s wife Mina, and Samarra.